If merely thinking about visiting the dentist sends you into a nervous panic, you certainly aren’t alone. Patients of all ages experience some amount of dental fear and/or anxiety. 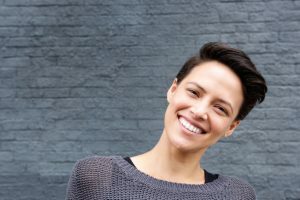 But when your nerves interfere with your ability to receive the preventive care that keeps teeth and gums healthy, it’s time to visit the sedation dentist in Naples. Dr. Mark M. Makram offers oral and IV sedation to help you relax through your upcoming dental treatment. Maybe it was a negative experience during childhood that caused you to dread the dentist. Many patients associate dental work with a bad memory — like a tooth that didn’t get all the way numb before a filling. Other patients are fearful of ceding control as they recline in the dentist’s chair. Whatever the cause of your dental fear, the good news is that, in addition to comforting sedation dentistry, dental techniques have greatly improved over the past decades. With carefully-applied local anesthesia and the latest in dental methodology, it’s highly unlikely that you will experience pain with any dental treatment at Dr. Makram’s office. Advances in technology are making it easier and more efficient than ever to receive all types of dental care. Some of the most exciting changes have been in sedation dentistry — now, even patients who struggle with severe dental anxiety or fear can receive the dental care they so desperately need. Dr. Makram is pleased to offer this service to all patients. Oral conscious sedation: Good for patients with mild to moderate anxiety undergoing routine procedures. Your dentist prescribes an oral medication to take about an hour before your appointment. By the time you are settling into the dental chair, the sedative effects have taken over. IV sedation: Intravenous sedation achieves a twilight effect and is best for patients with serious levels of anxiety or those undergoing longer, more complex procedures. The medication flows directly into the vein and is easily controlled by our team throughout your procedure. If you choose to undergo oral conscious or IV sedation, plan for someone to drive you to and from your dental appointment, and to check in on you for the first few hours during recovery. You will remain groggy for a little while after coming out of sedation. Some patients also report feeling nauseous afterwards, but side effects of sedation are usually brief and mild. Notify your dentist if nausea or grogginess persists beyond 24 hours. Wear comfortable clothing to your dental appointment, and avoid wearing large jewelry. We think you look great as it is! It’s time to overcome your dental fear, and Dr. Makram can help with oral conscious or IV sedation. Many patients find one appointment with sedation is all they need to realize there’s really not so much to fear from dentistry. Will sedation dentistry free you from your fears and help you enjoy a lifetime of stress-free dentistry? Request an appointment with Dr. Makram to find out!